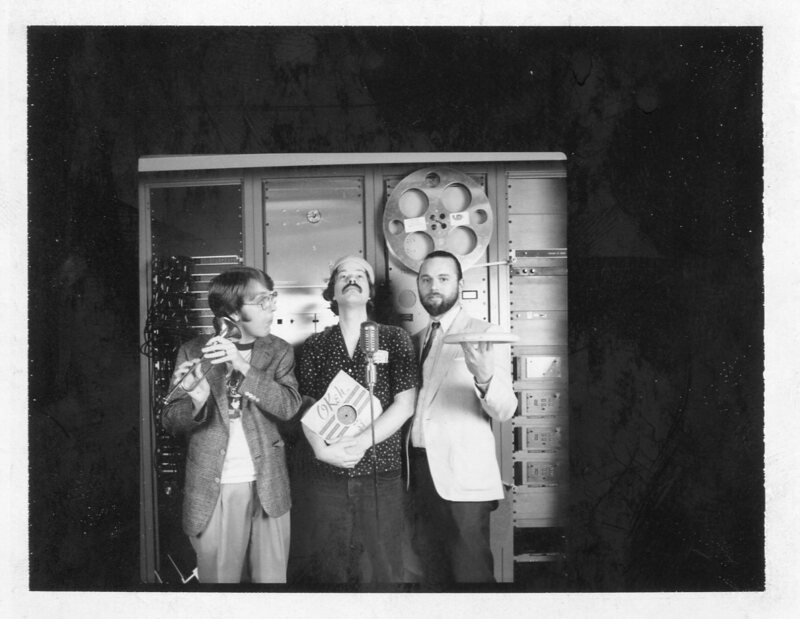 The Little City in Space show, created by the Post-Void Radio Theater, returned to KFAI in 1988. Jerry joined regulars Peter Stenshoel (center) and Stu Mathews (right) at this point, as LCS found new fans who had never heard the show’s initial 1978-1985 run. Long-time LCS regular features returned: The Paul Bunny Report, News from Nowhere , Sports and Joblines. New sponsors included Holy Cola; Starplate of Lavonne; Wursterkaasen Scenario Beer; Hokey Smokies. There were new voices of Occam E. Razor, Carl Toad, Sergeant Stratofender, and The Listener. Mark Masyga contributed fake ads for Post-Modern Flakes; The Freud Daddy; Wiggly Vehement Gum and more. Just go to our Little City in Space page here at ScorchedEar and scroll down to Comments to find links to shows from 1988-1990. The LCS-Y2K Show braced listeners for yet another kooky calendar shift in 2000 with the Post-Voiders girding their loins for who-knows-what’s-gonna-be happenings globally and aboard LCS-1! Listen at archive.org now!